Happy Friday! I hope y'all aren't tried of apples yet because I have a bowl full from our apple picking and there is only so much sangria I can make. The kids had talked about wanting me to make an apple pie so I started looking up recipes and you know what every single one called for...made-from-scratch pie crust. 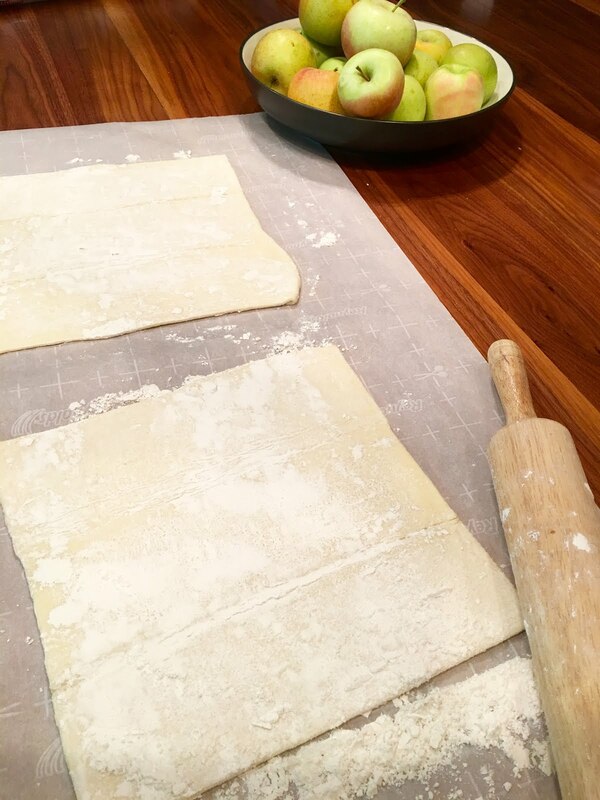 I am all about stepping outside of my comfort zone in the kitchen and trying to whip up something special, but for our longtime readers, you might remember that I don't even make spaghetti sauce from scratch so I certainly am not going to be making my pie crust from scratch. 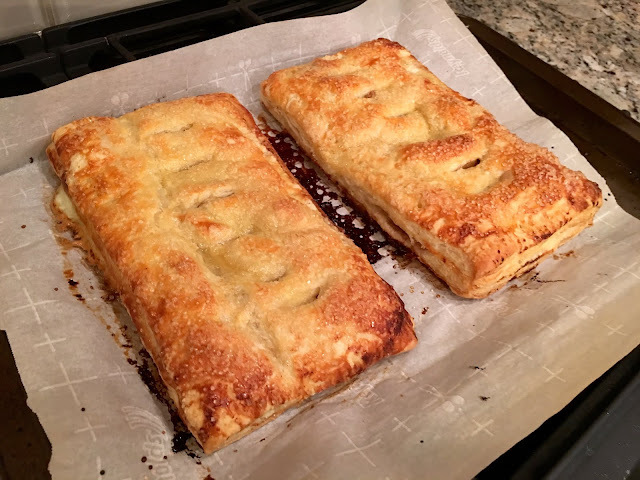 Those little pre-made/pre-packaged crusts are totally my go-to when making pies. And by pies I mean the two I know how to make (Chicken Pot Pie and Pecan Pie). 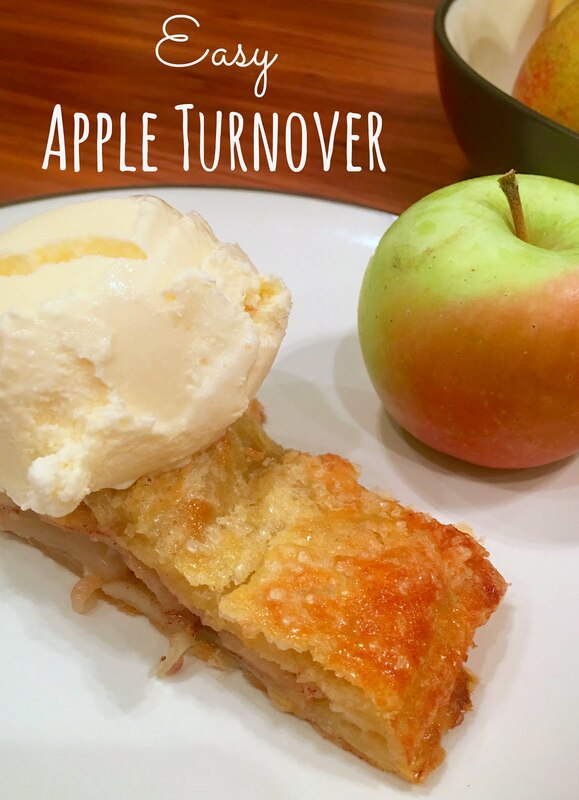 Since making my own pie crust was out of the question I started checking out other apple recipes and found this one for an "apple slab pie." That intrigued me and really it's like a big apple turnover that can be sliced and served. 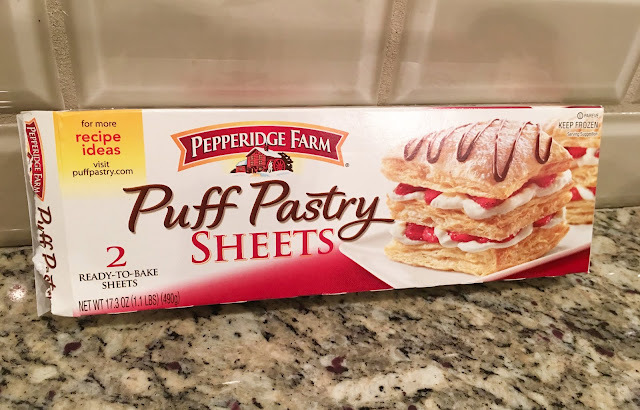 And get this, it uses pre-made puff pastry so I bought all of the ingredients and went to town. I even got fancy and made an egg wash. I was totally channeling my inner Betty Crocker. The result was fantastic. Not only did it look good, but it tasted great, too! The kids ate theirs with ice cream on top, but I preferred mine just as is. I altered the recipe just a tad from the original. 2. In a large skillet, melt butter over medium heat. Add sliced apples and cook, stirring occasionally for about 5 mins. Reduce heat to low and stir in brown sugar and cinnamon. Continue to simmer and stir occasionally until apples begin to soften. 3. Lightly dust parchment paper with flour. 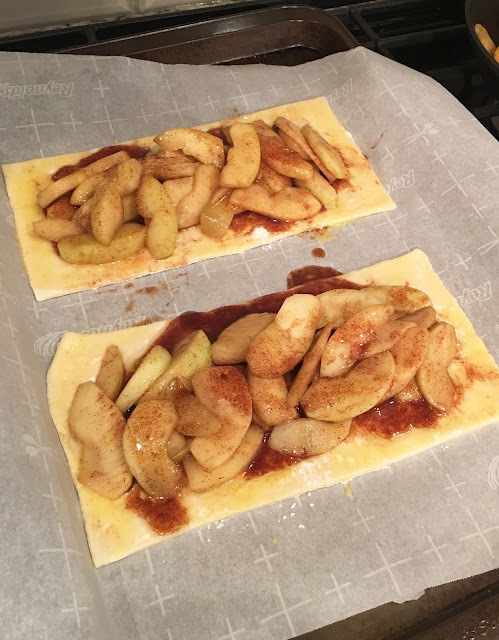 Place thawed puff pastry dough over it and roll out to flatten slightly. Cut puff pastries in half down the center. 4. 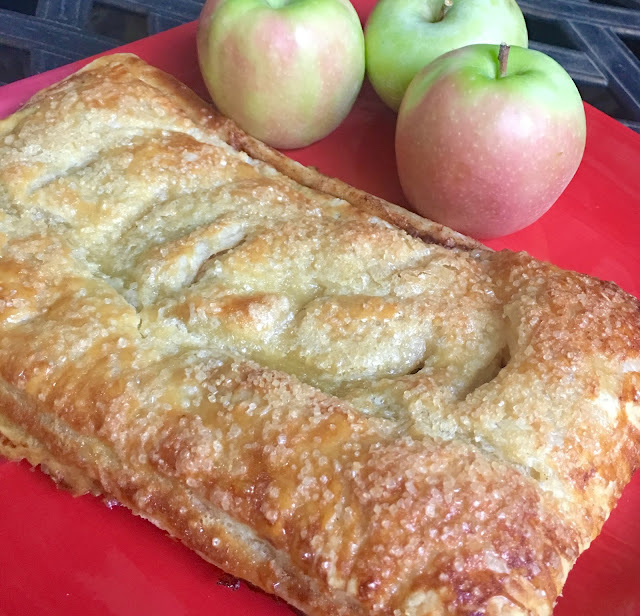 Arrange apples lengthwise down the middle of two puff pastry rectangles leaving a border on all sides. Pour remaining syrup from apples over the top of the apples. Brush beaten egg around the edges of the pastry. Top with the second pastry sheets and press down on edges to seal. 5. 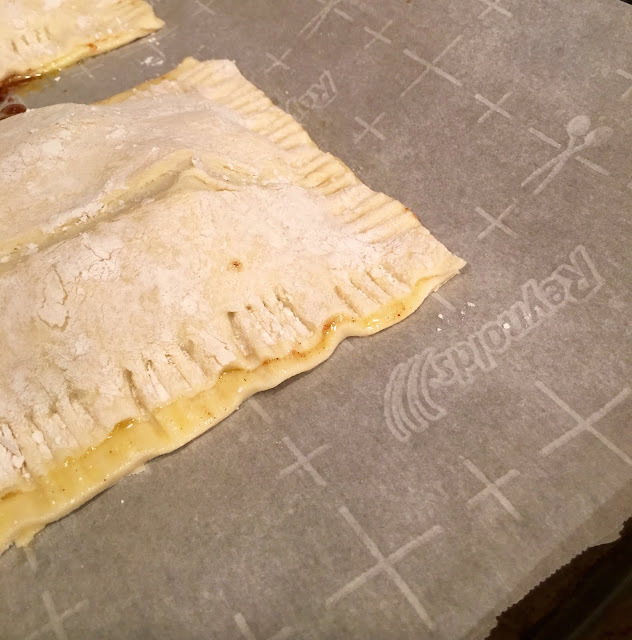 Cut 6 slits down the center of the pastry to create vents. 6. Brush the pasty with egg wash and sprinkle generously with coarse sugar. 7. Bake at 400 degrees for 15-18 minutes or until top is golden brown. 8. Serve warm with or without ice-cream. Enjoy!